This beautiful short sleeve by Beauty for Ashes Boutique features silver printing on front, back and on the sleeve bottom. 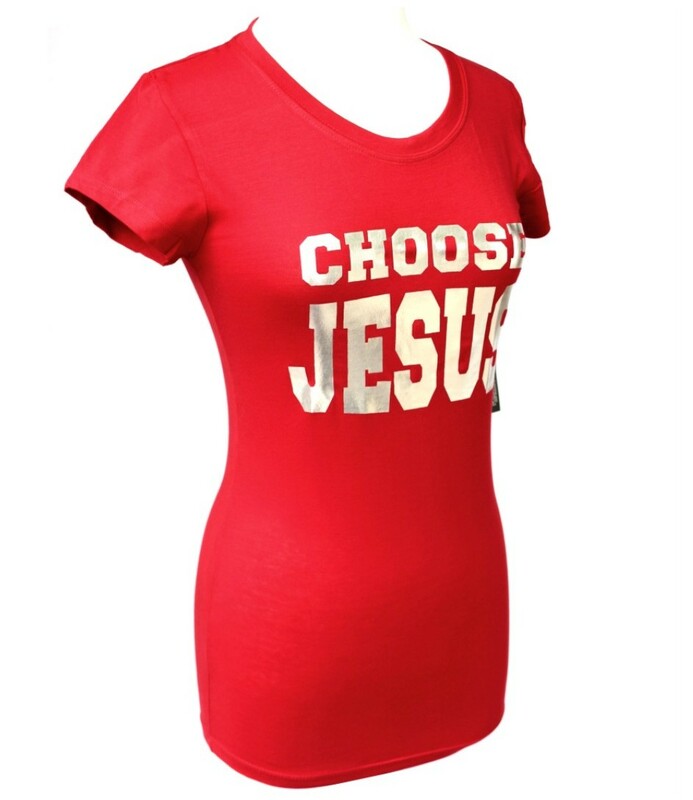 The Choose Jesus on the front and Be Saved on the back is shown on the photos above. 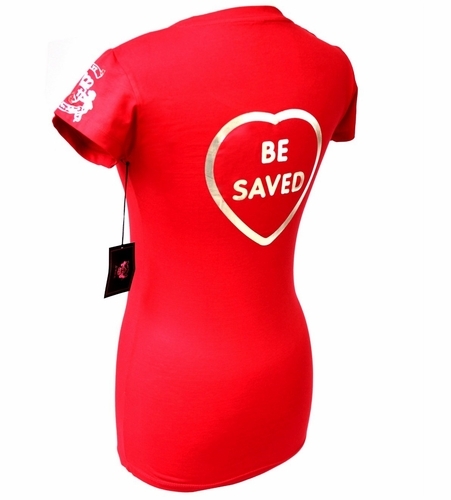 The sleeve features our official Love Beauty for Ashes logo. Sizes are listed, and run small as a junior size. Very Cute! All shirts are prayed over and are anointed! Designed and Printed in the U.S.A. Sizes are mismarked - the measurements are listed along with the size - please go by the measurements and NOT the size. Cotton Blend slightly stretchy material. Form-fitting.